I really like chambray. Like, a lot. 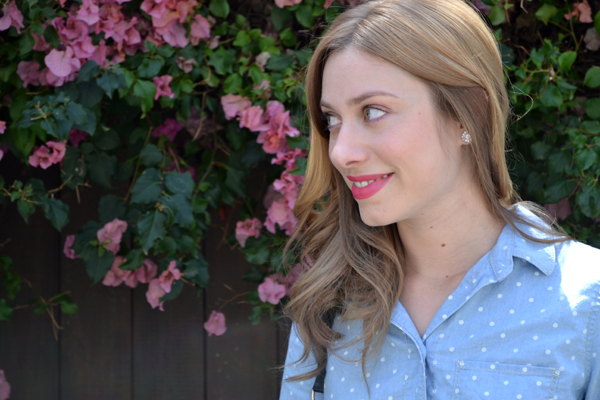 I like it so much that I had to go out and buy a nearly identical version of the light blue chambray shirt I already own, only this time with polka dots. You know, for variety’s sake. 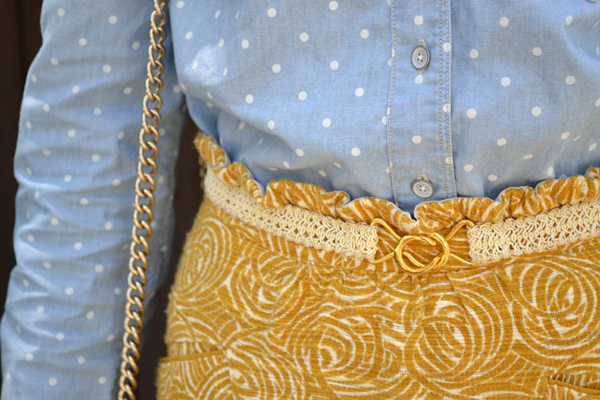 And because next to chambray, polka dots are my favorite thing. 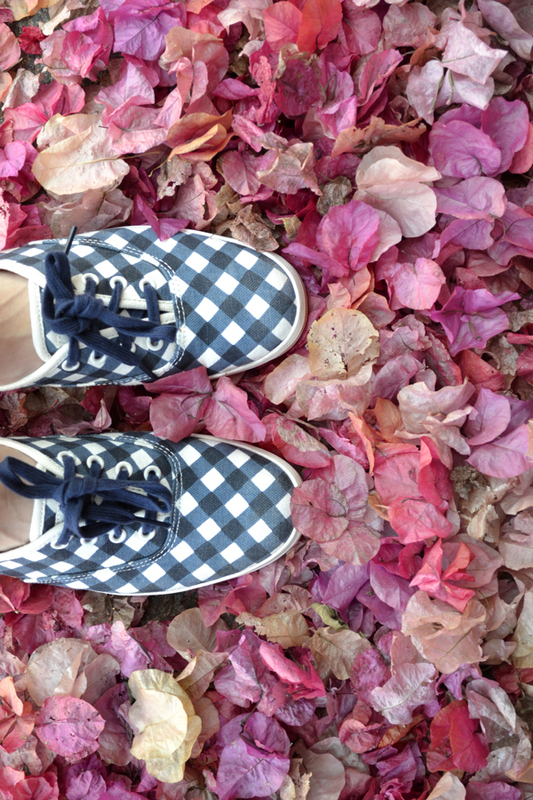 Remember these shoes from this gingham roundup? They’re fun, right? This entry was posted in Dress Up, Fashion + Design and tagged anthropologie, chambray, dress up, gingham, keds, madewell, polka dot, rebecca minkoff, summer, yellow. Bookmark the permalink. Super cute! Love the mix of prints. these outfit is so pretty. Love that cute polka dot shirt with the skirt. You look amazing. Wish you a fabulous weekend. These are absolutely the prettiest pictures of you! Love. I love love love this outfit! It’s just so gorgeous! The skirt and belt combo especially is stunning. So glad to have found your blog! Hey, thanks Rosie! That’s so sweet of you!